Any idea when it will be implemented? 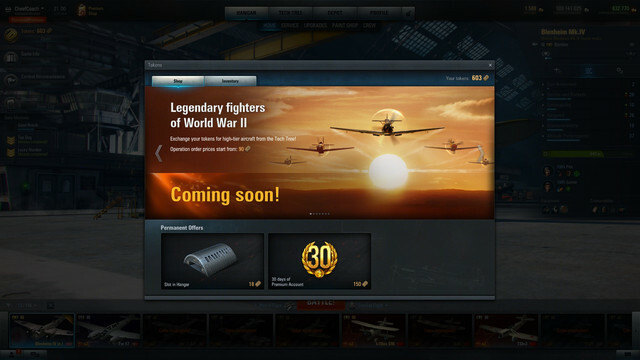 Being able to buy "operation order" for tokens, to get high tier aircraft, starting at 90 tokens. Thats whats said in the hangar, when you click on tokens. "trade tokens to get high-tier aircraft"
i am just looking for a way to trade in my tokens for the tier 8 bomber. It will be implemented-never. You had opportunity to trade tier 8 bomber with tokens until last new years. Now that ship is sailed, but you can buy i for gold. Its probably the advertises before some events and release of new lines, which they didnt bothered to remove, or are affraid to since they may break something else, Persha style. Can I ask if your client is in English or another language? Really now, again you start treating us like [edited]? If you press on that token button, you get to the page where you are explained what you can do with them, scrooling left or right through several pages. One of them is exactly what he said. In plain english. Eekee !!! I would expect this question from Karlie or Ivana who had problem to find the wowp program on their PC's, but you? Seriously? I am asking because there are instances where in-game tooltips are left in or mistakenly put in place for certain languages and not others. So, interestingly rather than getting offended over an imaginary slight, perhaps you could assume there is a reason I was asking the question? For instance recently a cancelled announcement was left in the French language client notification, but not in others. You can ask him too : did you clear your cache ? Good question : it's written one day we will be able to use our tokens to get a " High tier Legendary Fighter aircraft "
Did you clear your cache before posting? You seem to have an error. He doesn't have error. We all have that commercial. It is here for, as long I can remember. Edited by CheefCoach, 12 July 2018 - 07:08 PM. Edited by dreambill, 12 July 2018 - 07:20 PM. That announcement I know of, but I wasn't sure if it was something else. Recently I had a French player mentioned they had pop-ups about sales that were delayed until fixes for the bugs with it are completed. There is/was a plan in the future (the reason for putting tokens on sale) to allow people to use tokens to get access to higher planes. I can't provide more details than this, but it's something being explored. As with anything, things may change and delay but it's a plan. Look at it this way: there is absolutely no harm in having a huge stash of tokens. Whereas you might not have enough when something eventually comes along. Right now I'm above 350 which was my goal less than a month ago, and will collect them up to, say, 1500. This way a) I have a long term goal what to do in the game and b) guess will have enough for anything that might pop up. Edited by Tha_Truth, 19 July 2018 - 10:06 PM. Tokens were traditionally saved for special events like the "bomber assembly event" or the time when you bought crates for a chance at a shenyang or the female pilots. There are plenty of other instances, I can only hope myself we get another one of those, but we will see. I believe the most recent use of tokens was to skip secondary mission requirements to be able to earn the Do 335 or XF 15C?  I am hoping with the work I'm doing getting some Community Contributors in place and them having some accounts to demonstrate features easily a lot more will be explained. the most recent use of tokens was to skip secondary mission requirements to be able to earn the Do 335 or XF 15C? Does anyone remembers the amount of tokens needed? It depended on the secondary mission. The higher the mission the more it cost to complete with tokens. It's why I stock pile them! I know, I'm hoarding them too :-) but does anyone remembers how much it was to complete with tokens for a, say, XF15C or Do 335? Edited by zen_monk_, 18 July 2018 - 10:15 AM. This was not possible for XF15C or Do 335. Mission for this planes can be skip only for different tokens selling for money only. Token was used for skip missions in Albion event in Dec 2017 - Jan 2018. For Me 109TL this was 3 tasks and 80-90 tokens for one task. For lover tier planes this was much less. Edited by raketak_, 18 July 2018 - 10:31 AM. European Community → English Speaking Community → Forum → Game Discussion → Gameplay → Operation Orders. Did they get it right?